Lose That Girl: RATE IT! New Year's Hamm! 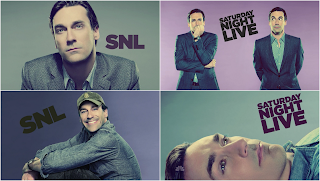 Without question, the most hilarious SNL of the past few years featured Jon Hamm as guest host. We laughed, we snickered...we laughed some more.... unlike when his 'Mad Men' co-star, January Jones graced the SNL stage (least said about that disaster, the better...). Could it be that someone heard our pleas for Jon to return??? Please!? Pretty please?! If Jon's 'Mad Men' co-star, Rich Sommer (Harry Crane) can be believed, it's all happening! During an interview with the TV Squad website, Rich spilled the beans that Jon was booked to make SNL funny all over again this coming January.